The older you get, the more quickly time passes. For proof, compare the endless summers of our youth with the hyper-speed montage of calendar pages flying off the wall that is our adult lives (I could have sworn that 2010 was last year). If the mental image of your life passing you by in seconds gives you anxiety then you should try condensing 20 years- and three distinct phases- of R.E.M.’s post-1991 music into a lean hour-long playlist. Before I continue, I should note that R.E.M. is one of the most prolific, artistically-minded, and evolving rock bands in American history…and it makes absolutely no sense to divide their catalogue in half starting with 1991’s Out of Time. Their previous album, 1988’s Green, could have maybe worked thematically as it was their major label debut but, chronologically, it’s still too early to serve as a half-way marker. Another interesting choice might have been 1992’s Automatic for the People, their career-defining masterpiece that elevated the band into full-blown worldwide rock stars (the correct choice is 1998’s Up, btw). Any questions or comments about this seemingly arbitrary starting point can be directed toward the man responsible for setting it, podcasting colleague Dan Gorman of See You Next Wednesday, here. While on his own journey of self-R.E.M.-discovery, Dan challenged himself to create two one hour playlists of R.E.M.’s music seperated by time periods- 1980 to 1988 and 1988 to 2011. When he shared the latter playlist with me, I scanned the chosen songs and noted that he had left off latter-day R.E.M. classics like ‘E-Bow the Letter’ and ‘The Sidewinder Sleeps Tonight’. As I listened, I realized that he had placed not one but two songs from the electronic-texture exercise that is Up. I knew I had to make my own one hour playlist. My first draft of the playlist clocked in at 3 hours and 18 minutes. Narrowing that running time down to 59 minutes gave me a newfound appreciation of how hard curating this really is. I had to cut undercover classics like ‘Star Me Kitten’ and ‘Country Feedback’. I had to cut ‘Leave’, guys! Yes, that ‘the loud siren song’ from 1996’s New Adventures in Hi-Fi. It had to be done though; I was at 1 hour and 3 minutes. In the end, I trimmed the collection down to 15 songs. 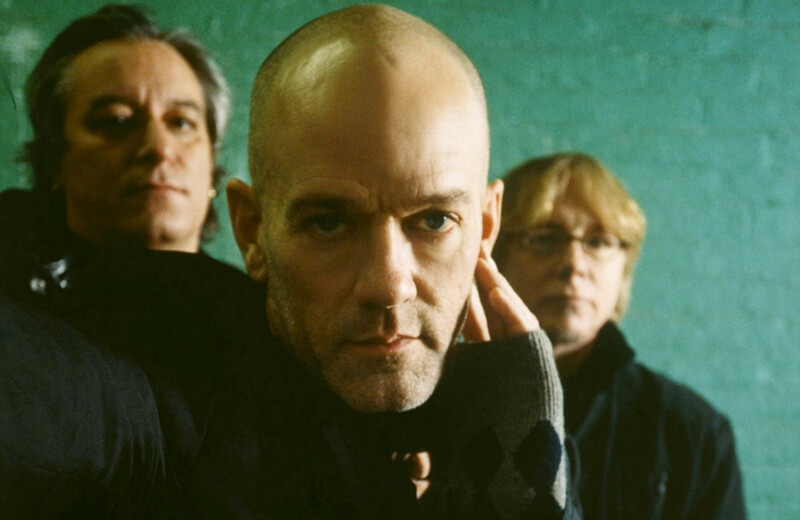 15 of the unarguably the best and most essential R.E.M. songs from their randomly defined 1991–2011 output. Enjoy. A wall of distortion. Inspired by the loss of Kurt Cobain. It’s easy to forget that this track wasn’t always ‘that super famous radio song’. That piano. Singer Michael Stipe’s vocal performance. Top 5 R.E.M. song. Stipe just makes whatever sounds he wants at points and I’m ok with that. I remember watching the MTV world premiere for this video. Remember MTV? I said it’s OK to have fun. This was them trying to make an R.E.M. version of Cher’s ‘Love Hurts’. I listened to this a few times on November 9th, 2016. “It’s been a bad day/please don’t take my picture” is what I sing to myself in the shower when I’m imagining what it’d be like to be famous. If this playlist was 1.5 hours, there’d be 2–3 more Around the Sun tracks on it. Underrated album. I love how dreamy the main melody is. And that music video! The most concise and sharp of the faster pop grungers on this record. “I don’t know why you’re mean to me” is the greatest lyric of all time. The slower, folky stuff needs representation. This is one of my favorites of that ilk. CHECK US OUT: Listen to Surface Noise, the comedy podcast for record collectors, on iTunes or your favorite podcast app (just search our name and you’ll see us). Click here to see our episode list and show notes online. If you enjoy what you’ve read or heard, share it with a friend! Thank you.